and helps to promote unity among the regions’ Polish-American community. 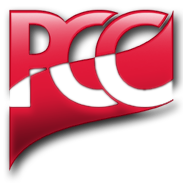 PCC achieves its mission by presenting Polish themed cultural events, programs, lectures, and exhibits. University of Pittsburgh, Pittsburgh Cultural Trust, Pittsburgh Filmmakers, and the Carnegie Science Center. Quarterly publishing of “The Polish Journey” newsletter, reaching close to 4000 readers. of our volunteers, members and friends of the PCC. In addition, PCC staffs a Polish school, teaching the language on various levels to all age groups.